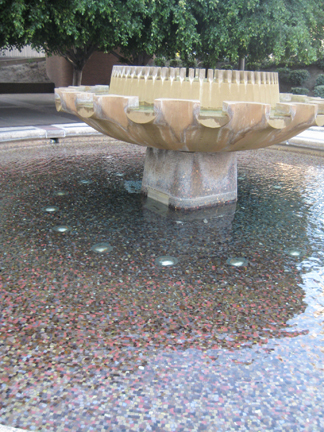 Frank N. Rush Plaza, Colorado Boulevard, Pasadena. 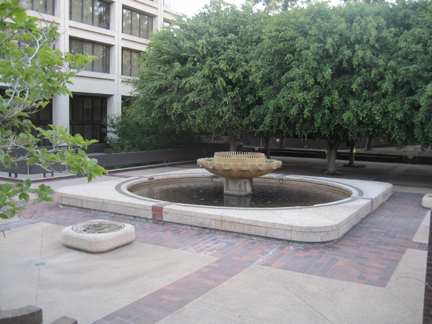 Text from plaque: "This plaza is named in honor of Frank N. Rush who from 1928 to 1951 served as Vice President and General Manager of Telephone Operations in Southern California. An outstanding man in every way, Mr. Rush will always be remembered for his friendly concern for others and his dedication to excellent telephone service.